Several months after the Samsung Galaxy S4 was released in the U.S. and the global market, thousands of owners were already complaining about the problems they've encountered with the device. Since we opened our inbox to questions from our readers, we've also received thousands of questions regarding some issues with Samsung's newest flagship smartphone. We categorized those questions and now we have a list of the most common problems Galaxy S4 owners experienced. But before anything else, please note that the solutions or fixes we provided here only serve as recommendations. You may or may not follow them if you find procedures hassling or troublesome on your part. Yes, it does! And the monster battery (2600 mAh) we thought was huge enough for a mobile phone wasn't enough to power the device the entire day. Samsung's effort to make its flagship 'smarter' than its competitors was good enough but its engineers should have given the phone a bigger battery than it already has. Close Apps Running in the Background - press the Home button to return to the home screen. Then hold it until recently used apps appear. Swipe each app left or right to close them. Adjust Screen Brightness - while the Super AMOLED display is one of the best displays out there right now, it is a power hog. One way to minimize its power consumption is to display the brightness to a lower level and to use darker background. Let The Phone Rest - heat also drains battery faster so if you feel like your Galaxy S4 is considerably hot after hours of use, give it minutes to rest or let it cool down before using it again. While connecting to WiFi networks is easy to do on Galaxy S4, the problems early adopters were facing seemed to have made things a little complicated. We've actually received a lot of emails regarding this problem. The thing is, the issue is so vague that it covers authentication error and other connectivity problems. Then came a confirmation from Samsung saying the S4 had some kind of a bug that hinders it from connecting to networks transmitted by select routers like a specific model of D-Link. The problem has already been resolved, though. Some minor WiFi problems can be fixed by simply changing the security type of a network, well that is if you have access to the settings. Other owners who might just be sharing their connection via adhoc (computer to computer) should not expect their Galaxy S4 to detect or connect to the network since Samsung's flagships (or even the company's mid-range devices) don't support that kind of connection. Provided that the email account was properly setup on the phone, the problem is triggered remotely. For users who use corporate emails and have set them up via Exchange, a setting to leave a copy of messages on the server should be enabled. While it is understandable that network administrators disable the option by default to minimize the use of server resources, the emails should be allowed to stay on the server for, at least, 7 days. To double check if this option has been enabled, users should edit account settings. The option should be found under Advanced settings. You can also set how many days you want your emails to remain on the server before they get deleted automatically. Being one of the most powerful smartphones available in the market today, it is disheartening to see the Galaxy S4 lags and freezes randomly. But the thing is, the phone comes with a lot of bloatware and useless services that's taking up RAM more than any normal application. Included in the situation is the TouchWiz UI that also causes the same issues. So the first thing you have to do is to make the TW faster by disabling some if not all bloatware. Second is disabling the smart features that you don't usually use. Third is by closing apps running in the background. Fourth is by rebooting the phone at least once a day. Fifth is clearing cache and data of heavy apps. If the freezes and lags persist, you might want to do a factory reset after you've backed up everything in your phone. Some apps may have already been updated by their developers and some may not. At least, this is the primary reason why some applications keep hanging or freezing on the Galaxy S4. It is always advised to check on updates for each app installed on the phone by going to the Play Store. Apps that keep on hanging even after update should be reinstalled to see if the problem would be solved. Clearing app data and cache could also solve the problem. Otherwise, you have to say goodbye to it for good. You should know, malfunctioning apps could interfere with the phone's normal processes that may result to freezes and random reboots. 1. Double-press the Home button to launch S Voice. 2. Once S Voice is up, tap the Menu key. 4. Now, find 'Open via the home key' option and uncheck it. 5. After doing this, press the Home button and you will see it's more responsive than before. Yes, it is because of the bloatware that come with the device. The 16GB variant is taking all the criticisms considering almost 50% of its storage was occupied by the operating system, which is too large in first place, and factory installed apps that keep smart features running on the phone. One way to remedy this problem is uninstall some bloatware especially the ones you don't need. Second is to clear cache and data of large apps or even uninstall them if you're not using them anymore. Third is to copy all your pictures to your computer and delete them from your phone. 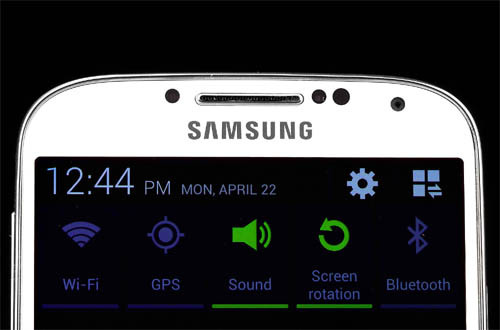 Fourth is to minimize music, videos and other multimedia files on Galaxy S4. But you know what Samsung advised its customers about this problem? "Buy a bigger SD Card!" Yes, if you can afford one why not buy one? At the end of the day, it's proper management of your files that would give you a peace of mind. We've tried to replicate this problem with the original Samsung headphone but to no avail. We, however, experienced the problem when we tried to use other brands of headphones (yes, the cheaper ones). So, the best advice we could give is to use the original headphones that come with the device because they were rated to handle the wattage that comes from the Galaxy S4. Also, if you want to use equalizer apps, only install that ones that have good feedback and minimize on the bass. Do you have other Galaxy S4 problems? Email us at sebertech@gmail.com and we will find solutions to your problems. You can ask us question, suggest a solution to a problem or give us feedback. Don't worry, everything we offer here is free. I have none of the problems mentioned above with my S4. However my phone constantly kills music equalizers when the screen turns off or a song changes. I see many posts about it on the web but no solutions yet. Other than that great phone.